This is only part one. 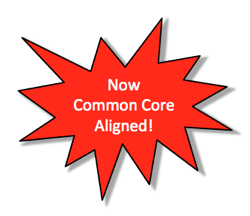 There will be multiple editions of Common Core Aligned covering the Southern Poverty Law Center’s “Teaching Tolerance”. For-profit app creators, textbook publishers and technology moguls like Bill Gates are not the only ones aligning everything in sight to the Common Core. Now social issues are being aligned as well, courtesy of “Teaching Tolerance” via the Southern Poverty Law Center (SPLC). The same SPLC whose “hate map” was used by Floyd Corkins to attempt a mass shooting at the Family Research Council headquarters. The same SPLC who called parents questioning or opposing Common Core “extremists“. That’s right, little Johnny and Susie can be given arguably skewed lessons on racial justice, social justice, feminism, LGBT, bullying, immigration and how to be an activist based on materials this outfit provides — beginning in Kindergarten. All of this can happen without your consent or knowledge. Today, we’ll look at the basics of what “Teaching Tolerance” is about. “We know we won’t achieve equality and justice through the courts and investigative reporting alone. The future of our great country lies in the hands of today’s young people. That description seems a bit… lacking. One of SPLC’s most highly touted initiatives is its Teaching Tolerance program, which works to “foster school environments that are inclusive and nurturing,” and to help teachers “prepare a new generation to live in a diverse world.” The program produces a biannual publication, Teaching Tolerance magazine, which reaches more than 400,000 educators nationwide, as well as multimedia teaching kits, online curricula, and professional development resources. All of these are provided to educators at no cost. The Teaching Tolerance lesson kits contain reading materials and suggested classroom activities designed to steer K-12 students toward the conclusion that America is an inequitable, racist, and sexist society. As such, they bear the unmistakable imprint of Morris Dees. Click here for examples of Teaching Tolerance’s classroom lessons. Nothing says ‘Tolerance’ like a guy who was named a domestic terrorist by the FBI for his love of attacking those who disagreed with him by setting bombs. Shorter: This arguably is a straight-up pipeline method and means for indoctrination and production of future activists. This article is just part one. In part two, we’ll delve into how ‘Teaching Tolerance’ is aligning their content to the Common Core. Many of the texts ‘Teaching Tolerance’ advocates are already on the Common Core Standards list of suggested reading. This entry was posted in Common Core, EDUCATION, LL1885, Poltical Correctness, Racial Justice, Social Justice, The Articles and tagged Common Core Aligned, Southern Poverty Law Center, Teaching Tolerance. Bookmark the permalink.